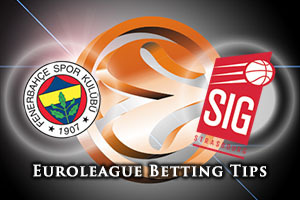 This is a game where a victory for the home team will take them into the Top 16 and they are facing an opponent that has lost their last 15 games on the road. It all adds up to a night of celebration in Istanbul on Thursday night and with the hosts on a 5-1 record, they will be pretty confident of grabbing the win they need. While Fenerbahce have clearly shown that they know how to put the opposition away, they have achieved great success with their defensive work this season. Epke Udoh has been in good form of late in the Euroleague. He has managed to score his last 12 free throws in a row and in the last four games, he has managed to block at least one shot. It is the consistency of performances that have helped Fenerbahce to stand out from the crowd and push on for success in the regular season. Bobby Dixon and Jan Veseley have been at the heart of the offensive play for the T7urkish side and it is likely that they will lead the way again on Thursday. The last time these two teams clashed, Strasbourg had a key player in Kyle Weems, who grabbed 22 points that night but he’ll need to be in good form against Luigi Datome. Vladimir Golubovic has bene the strongest performer for the hosts with respect to rebounds and if he can find form in this game, there is every chance that Strasbourg will push the hosts as best as they can. Romeo Travis and Romain Duport will need to show mettle in their defensive work because this has the hallmarks of a tough night for the French side but it a good result isn’t 100% beyond them. 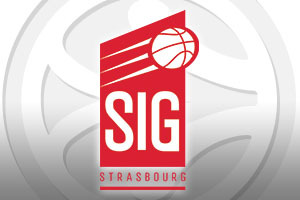 With the hosts being massive leaders, give yourself an interest in the underdogs by taking Strasbourg at +15.5, at odds of 1.90. For the Over/Under market, you should look to go OVER 151.5 in this one, which could turn into a one-sided game but should still offer up some drama and excitement. Bet Now!